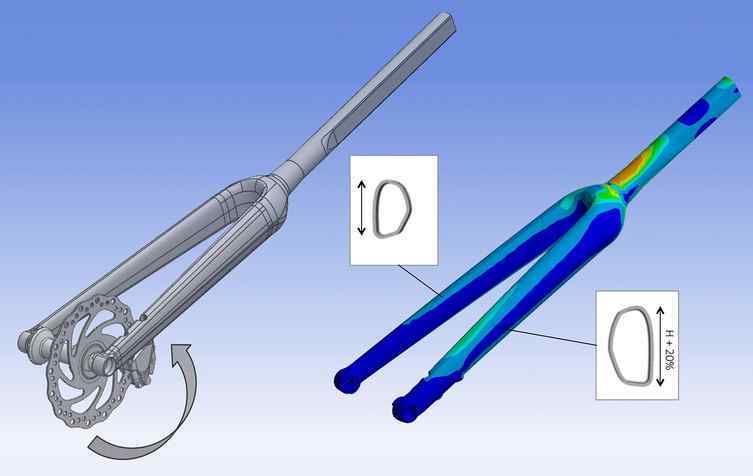 With ACE technology, we can compress years of physical testing and prototyping into few months of Finite Element Method (FEM) cycles. We use calculation models to analyze, assess and validate the output designs, based on specific criteria, before launching the production of real prototypes. 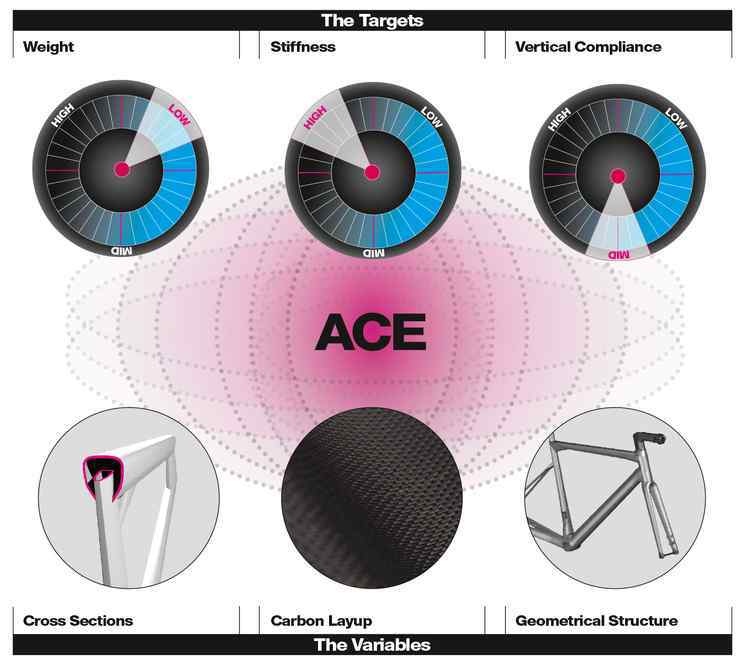 We provide ACE with pre-defined performance targets to explore thousands of opportunities for potential tube cross-sections, carbon layup and geometrical structures to make sure we get as close as possible to the perfect high-performance machine. ACE responded to our quest for improved performance with a new geometrical structure that challenges conventional frame design. It calculated the frame’s cross sections, carbon layup, and geometrical structure based on the desired performance values. This lead to the use of asymmetric, oversized shapes in conjunction with advanced carbon laminates, to achieve the specific stiffness, weight and compliance targets.